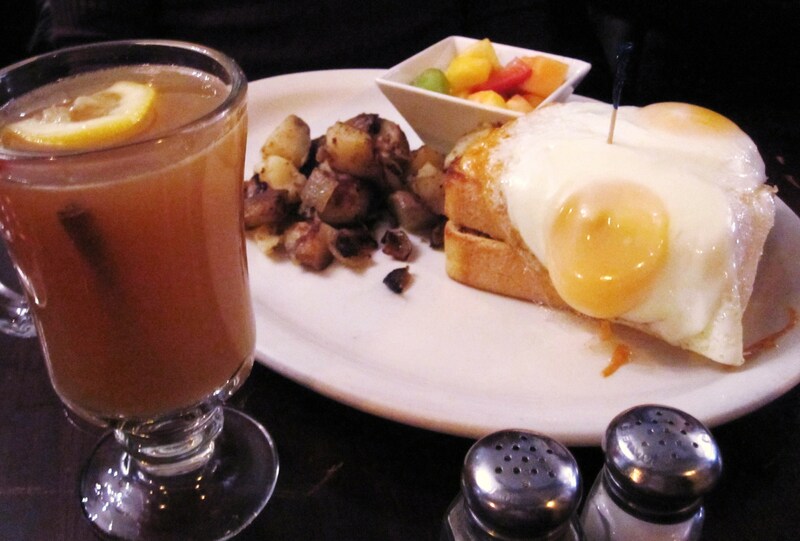 The next time you’re wrangling a group of your peeps for a lively brunch with comfort food offerings (the ideal meal for hangovers), look no further than Nolita House (Houston btwn Mott/Mulberry). The mixed crowd of hipsters, professionals and Bluegrass fans – yes, they have a live Bluegrass band – sets the perfect vibe to get your Saturday or Sunday started off right. Know that you’re going to wait a tick (if you’re with 5+ ppl, def make a rezzie). The good news is you’ll join the folks surrounding the bar and enjoying the resto’s Southern hospitality and tunes. 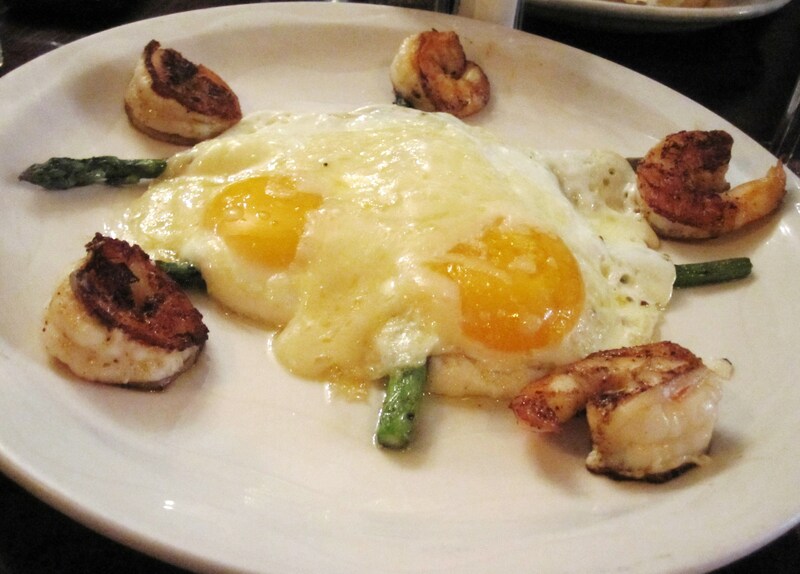 The menu is jam packed with comfort staples like the New Orleans Shrimp w/Sunny Side Eggs over Cheesy Grits (INCREDIBLE) and the Croque Madame (just under the Monsieur – NOT to be missed). 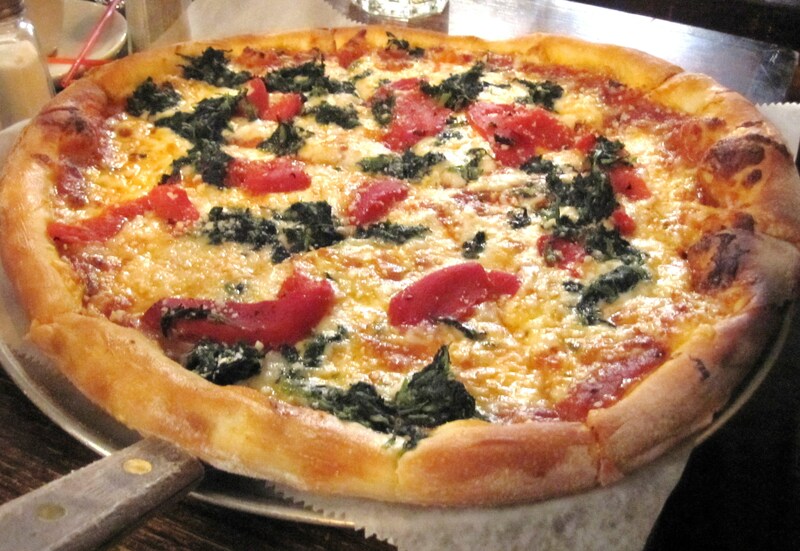 Also offered are some less traditional options (how did the Brick Oven Pizza get on there? who cares, it’s awesome!). 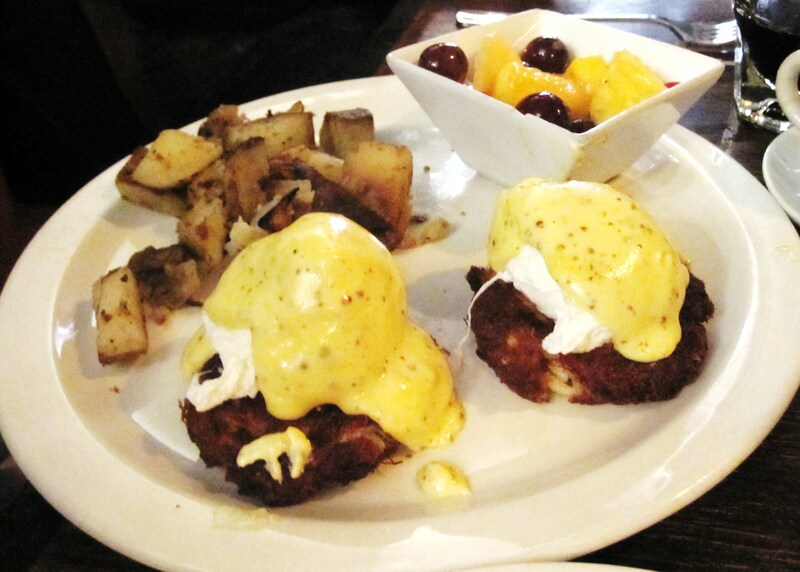 There are also 4 Benedicts; one of my pals had the Maryland – Eggs Benedict w/Crab Cakes in lieu of an English Muffin – very tasty. The best part is the deal; everything on the menu comes with a brunch cocktail! For a second round, I recommend opting for sangria, warm apple cider+brandy or even an espresso with Kahlua. All were inspired departures from the common morning libation; Nolita House is certainly a departure from the common brunch.